Would you just look at this precious little one?! Meet Emil, my friend Andy and Fiona's baby boy! He is an absolute cutiepie as you can clearly see in these photos! I had crocheted a baby hat for Emil a few months before he was born. (Crocheting baby items is one of my favorite things to do! Pastel or bright yarn colors, cute buttons and embellishments -- what isn't there to adore about it?) Now that baby Emil is about three months old, Mom and Dad are finding that the hat is just about the right size! This little one still looks quite tiny in comparison to the hat as it rests on his lap, but hopefully he'll grow into it a little more this winter. I just adore Emil's big, beaming smiles! 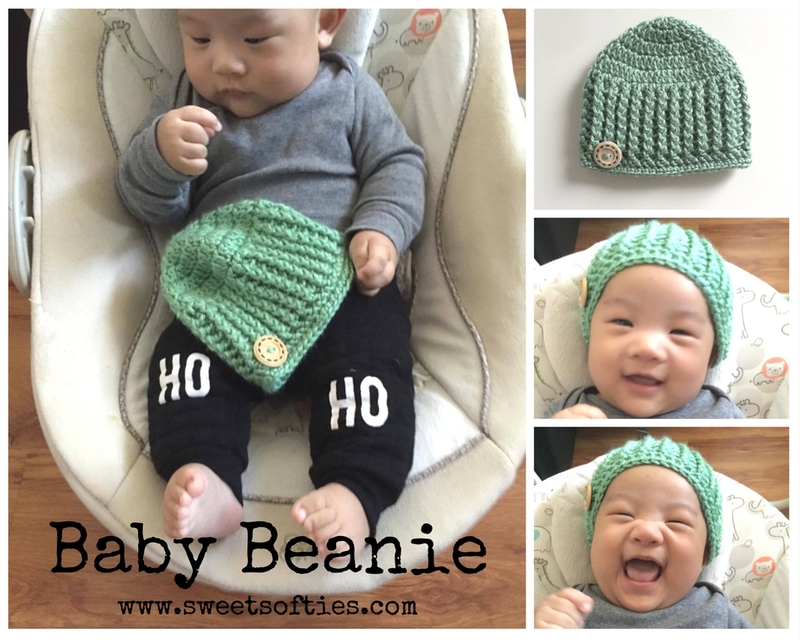 If you're interested in crocheting this beanie as well, please check out this blog post with the pattern link! Thanks for reading, and stay warm everyone! !